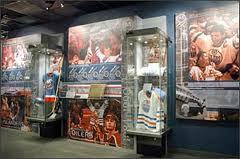 Game Day "Oilers VS Islanders"
Both the franchises of the New York Islanders and Edmonton Oilers dominated the NHL in the late 70's and throughout the 80's. Amazing how the mighty have fallen and it appears they can not get back up. The Islanders have been struggling for years with high draft picks but signing bad contracts, awful managing of the team has probably been the largest criticism. The Oilers have had some bad press for their management ability but in large part, it has been blamed on players in the organization. There comes a point where management has to step up and take some responsibility. I am of the belief that a 18th-22nd place finish may be better but if were not good enough yet, there are some incredible players in the top 6 of the coming 2012 NHL draft. Yes, I know, there comes a point where you have to move forward but since the season has pretty much gone the way down the crapper, I say let it continue to be about development and start making changes to see what our future holds. I love Anton Lander, but let's face it, like Paajarvi, he needs development time and lots of icetime to improve on his game. He has some offensive ability and is getting it stifled playing consistently on the 4th line. Let him round out and improve his game at the AHL level. Also it may be time to trade off Eager and either Gagner or Hemsky by the trade deadline. Its not the players themselves, it's the make up of the team that is more the problem IMO. O'Marra is a good fit for that 4th line role and can win faceoffs. Let's see what we have in him for a longer spell before we decide if he is worth keeping into next year. With some good talent in OKC we can afford to bring up a Ryan Keller and really see what he can deliver on a 3rd or 4th line role. Also once O'Mark and Hartikanen are ready, I say it's time for the big show. On defence? Well they are doing exactly the same as I am suggesting with the forwards already. Young guys are getting some experience, the Oilers are seeing what they got in some older prospects in Plante and Teubert and I am sure evaluating their future as the season continues on. Why do this you say? Why not? Do we really believe we can attain a playoff spot now? For the Oilers to do so, they would be the talk of the NHL should they come back to make the playoffs. At least if the Oilers don't win as many games, they are evaluating for the future and developing. I am sure some of you will think I am crazy for thinking the Oilers should continue this season the way I just suggested but let me ask you. Is not Tamby and Lowe already following this process with our defence? We all knew no defence help was coming in. We knew it was a evaluation year on defence and in goal. Sure they started the year well, but in hockey it's what have you done for me lately. Fair or not fair, circumstances changes game plans. 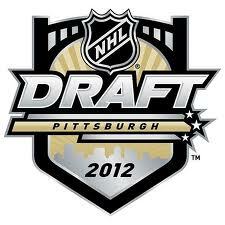 This coming 2012 NHL Draft, top end talent has either that potential 1-3 defencemen we need or 1 more top centre. Should we falter, the consolation prize? A Generational talent as scouts say in Nail Yakupov. Personally, I think the Oilers finish the year anywhere between 20th at best to as low as 26th. If you can believe this... 4 games with the OKC Barons and not a single goal. One assist and a nifty shootout goal is all he has to show for during his short AHL career. It appears that he's just having a goal scoring slump in life. Not just in the NHL. While he has played pretty decent in Oklahoma, he's there to find his goal touch. If he's not scoring down there, he'll never get called back up to the Oil. It's looking like a long road ahead of Magnus. I'm hoping he can turn it around soon. He's too good of a player to be a wasted talent. This isn't another Rob Schremp story. Despite a couple of brutal calls by the refs tonight, the loss only reflects on the team, not the refs. The first period was one of, if not the worst period of Oiler hockey I've seen this year. After a start like that, you can blame anything you want, but losing is still your own damn fault. I'm getting tired of all the talk and no show from the players and coaches. Cliches are starting to sound like cliches. "We need to play a full 60 minutes." "Our compete level was not at 100%." "We need to get back to the basics." Talk is cheap boys. Put up or shut up time. Game Day "Oilers VS Canucks"
"Burnt Toast" tonight OR "Oilers Branding" of Canucks? Tonight RNH has his first regular season game in his hometown and has friends and family stoked to see him play. Let's hope he overcomes any nervousness and displays a top notch game for the Oilers tonight. The Oilers have been playing a much better game as of late , so am thinking this should be a fairly good game. Last game the Vets Horcoff, Hemsky and Smyth did well in proving me wrong with no turnovers which goes a long way to a win for this team. Limit the turnovers and this team will compete any night of the week. Hard to say how either team will play so I expect good puck control varying by both teams in this game at various times. This is the beginning of a long trip on the road for this team and a early road win against a divisional opponent would go a long way. They need 4 of 7 wins to remain even remotely in a playoff spot. Should they falter on this trip we will then only be discussing what draft placing we will have and watching to see the Stat padding that could go on with our three young guns. It's Boxing Day! Let the boxing, show itself tonight in this game and hopefully it will be a exciting game to watch for us Oiler fans! Alex Plante Recalled / More To It Than We Know? The Oilers are in need of some help tonight (injury?) and I guess they need it from Alex Plante. He's been recalled from the Oklahoma City Barons. Not sure if Plante will actually play tonight or not. As steamed as I am that Colten Teubert wasn't recalled instead, I started thinking that this isn't cause Plante is the best choice, but more of an opportunity. It's no secret he's on his last legs with the Oilers. This is make it or break it time. This is perhaps his last kick at the can? Or perhaps a little look for some other teams that might want to include him in a trade that's in the works? Oilers 2012 NHL Draft Watch "Cody Ceci"
Today we examine the #12 ranked player from REVS 2012 Prospects List . Each player is unique in their own right and full of talent. The ranking does not reflect a mock draft of who a team may actually pick but rather who I would place as the best player available in that spot. Cody was just returned back to the OHL after failing to make the team for the World Jr tourney for Canada. While disapointed in his own right. (I think he was more deserving then Oleksiak) Cody did also attend their summer development camp as well as the Research and Development camp this summer. No small feat either way. Coming into this season his numbers offensively were respectable but he has done nothing but rise to the occasion and in half the number of games he has matched his his last season totals. Cody may not have made the Canadian team for the tourney but he should enjoy the time off over the holiday season cause his team looks poised for a good run for the OHL championship with about 4 other teams. Cody is more of a two-way defenseman, but more then likely if he is too make it in the NHL he will be looked upon to think defence first, and chip in offensively when his own end is taken care of. His attention to detail in his own zone , is one of his top qualities, but he also has a great first pass to initiate the rush. Ceci already has respectable size, but is a good skater, and has great vision. Not sure what many of you think about the Minnesota Wild these days, but regardless of what we think of them, they have become a solid powerhouse in the NHL this year. Something happened to the Wild over the off-season, they became a more well rounded team offensively. This team has it's fans 'going WILD' in excitement about some possible playoff results this year even. The question most people have is...."Can this last?" As far as the forwards on our team, they need to start making better decisions with the puck, and I am not speaking of the young guys. Too many turnovers in the neutral zone on giveaways are killing this team. The Oilers veterans know better but continue to do so. Granted the defence has had their fair share of giveaways from pinching too much but we already covered some on that already. The guys giving the puck right back are Horcoff, Hemsky, Smyth, Eager and Gagner (but he is improving I might add). How can our veterans not be accountable for these kind of mistakes. On occasion when Hall, RNH or Eberle give up the puck, much is made of it (not often it happens) but the veterans do it almost every game or two. Watch the game tonight, I can almost guarantee you between Horcoff, Hemsky, and Smyth there will be 2-3 giveaways tonight. It happens every game. Khabby has played well and I expect he will get the start again tonight as the Oilers are desperate to get back into the win column. Also, I have to say, I have been pleased with our PP, but isn't it amazing how much a PP can change when a 18 year old is running your PP? Wonder how many people still think RNH isn't heavy enough or big enough to play in the NHL. (I will cover more on this in another blog under my Prospect Focus). I have been pleased with our PK as well. But think about this team. 2 points better from a year ago with a wonder kid playing at a PPG and 2 other great players in Hall and Eberle playing like All-Stars. Not to mention a much improved PP and PK, yet only 2 points better? Am I missing something here? I said it a few weeks back and will say it again, Tamby and Lowe had no intention of rushing this rebuild on the defence front if no trade was attempted early on. They are ok with building through the draft and waiting til the feel they can get the best return on players at the deadline. Is that ok? Sure, but be prepared for another long season of games being meaningless in a couple months and Oiler fans just looking forwards to glimpses of future success and padding of individual stats for our favourite players. Before I cover our prospect watch, I should say, as negative as I sound, I do still believe this team is going in the right direction player wise, just not coaching and management wise. And let me be clear, the players we all love to see or are hoping to see on the Oilers in the future have less to do with management and coaching and more to do with amateur scouting. Pro scouting is probably one of our greatest weaknesses and Management treats the casual fan like were stupid. C'mon, don't pay the Oiler fan a compliment and then smack him upside the head in the next moment. My dad was like that and you know what that created? Yep! Hatred for him. Tamby, Lowe and even Katz in my opinion need to be more honest about what our struggles are and accept some blame above the players. So Anton Lander looks to be getting a bit of a push here tonight with some third line time centering Gagner and Jones. I actually like the look of this line and am interested in what will come of their potential tonight. Lander has struggled somewhat in the faceoffok but using Lander as a plug on a fourth line to me is a waste. I would rather Lander play third line here in Edmonton or down in OKC with the Barons on their 1st or 2nd line to improve his offensive game, cause we know he does have some decent offense as well. I would think, should Renney not like this experiment of Lander on the third line very long, we will see Lander heading to OKC for some development soon enough. Now let's get ready to RUMBLE! Go Oilers! Oilers 2012 Draft Watch "Derrick Pouliot"
Today we examine the #11 ranked player from REVS 2012 Prospects List . Each player is unique in their own right and full of talent. The ranking does not reflect a mock draft of who a team may actually pick but rather who I would place as the best player available in that spot. Pouliot’s season started hot but has tapered off a bit as Joe Morrow came back from the Penguins camp to take back his #1 spot on the team. Pouliot has some offensive ability, but his greatest strength comes as being a point man on the power play. Pouliot’s game is played better when he is the #1 option. Derrick off the ice is nothing like the Derrick Pouliot you see on the ice. Off the ice, they say he's a shy, reserved young guy with impeccable manners. On the ice that disappears. To be fair, it's hard to be polite when you're causing your opponents fits.Pouliot is usually in complete control when on the ice. He has elite vision, sensing when to feed his teammates and when to carry the puck himself, almost always makes the right decision. -Tournament MVP and a member of the tournament's "All-Star Line" at the Graham Tuer Bantam AA Challenge in Regina, Saskatchewan. - Selected as the Top Defenseman and a member of the tournament's "All-Star Line" at the Hockey Hounds Major Bantam Tournament in Medicine Hat, Alberta. - Called up by the Moose Jaw Warriors AAA midget team to play in the prestigious Mac's Midget Hockey Tournament in Calgary, Alberta, and recorded three goals and two assists for five points in four games. - Selected to the tournament's "All-Star Line" at the GSHL Bantam AA Invitational in Saskatoon, Saskatchewan. - Selected as the "Top Defenseman" and a member of the tournament's "All-Star Line" at the Western Canadian Bantam Championships in Weyburn, Saskatchewan. Pouliot is the first to admit he still has work to do in his own end. He acknowledges he is trying to work on that a little bit more. Positioning and things like that. Derrick is considered a very special player, very smart with the puck. He sees the ice well, skates well, rushes the puck and jumps into the play. He’s an offensive defenseman, but he’s good on the back end, too. Pouliot is very consistent and pretty much brings it every game, so there’s not much negative. To date he’s been able to play at a higher level of hockey as he has progressed in his hockey career. Oilers 2012 Draft Watch "Martin Frk"
Martin Frk was injured in pre-season and has only recently returned to the lineup. Those close to him say he is still trying to get his game legs and his timing together but he has recently pulled out from the World Jr U20 Championships to which has raised some controversy. Some say it will hurt his ultimate draft status while others feel the scouts think they have a good read on his ability already. Only time will tell, but for me, warning flags are going up all over. Wish nothing but the best for Martin but wonder if this will end up in him falling around the same place Jurco fell last season. Could be one great late round pick up for one team if he did have his draft status fall. Martin just recently was selected to play in the annual CHL/NHL prospects game for Team Cherry. A good showing could go a long way for scouts alike. Well, the atmosphere and excitement in Edmonton on this season certainly has changed in the past few weeks. As the Oilers prepare to do battle on the ice tonight against the powerful Red Wings, several fans are now starting to focus in on smaller victories. Some just want to at least see Hall/Eberle/RNH get a point each game and finish the year with a point a game. Would be good for their confidence and for the confidence of the team as they build around those three cornerstones. Some fans just want to see Smyth score 30 or more this year and would be content. Others are just looking to see Ryan Whitney regain that scoring prowess he had last year before going down with his injury. And then their are others like myself who are watching the prospects of the 2012 Draft coming up in June this summer. All in all, doesn't matter what any of these individual fans want, the Oilers will not be able to continue this path of rebuild. Granted, this is only year two of a rebuild, but a rebuild also means you are getting better each year without abandoning ship and re-routing half way in. This years team is only 2 points greater then last years team at the exact same point. Sure they have a better goals for and against then last year, but that is in large part to some stellar goaltending and shot blocking in the first 13 games. The other difference this year has been this team is usually in a place to still be in reach of at least a tie in every game and the Oilers have done well at getting on the scoreboard first. What is alarming is their inability to stop this rash of horrid turnovers each game. 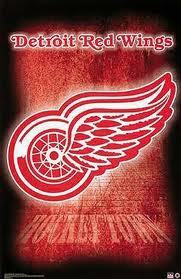 The Red Wings are a team who will capitalize even more on the Oilers weakness of turnovers, so if they hope to be even close in this game, it will require some smart play moving the puck out of their own end. The PP has looked noticeably different with Potter back out there and the PK has been doing much better as well. A couple concerns I am having is the play of Peckham and the playing of our fourth line. On defence, Peckham should not be making those blueline pinches he so often makes to keep the puck in play. Why? Because he is a defensive defencemen and can't usually make that play work. Too often he loses his feet out from under him and then is taken out of position. Also if Peckham wants to hit, he needs to remember not to take himself out of position to do that. This many games into his NHL career is looking bad on Theo. I like the toughness he brings and the passion but too many bad penalties, and at least one bad error every game, resulting in a goal has big worry signs up for me. Petrell is a weird character. I know you Finnish fans love this guy and I do too. He is a excited one and a damm good penalty killer, but 5 on 5 he is hurting big time. One of the strengths we heard was his aggressive forecheck. His forecheck is good, but seldom does he seem able to keep control of the puck and is usually just dumping the puck back in. Good attitude, apparent great character, awesome penalty killer but you have to wonder when the light will go on and his puck control will begin to show itself. I'm rooting for ya Petrell! Hurry up and bring your whole game around soon though, cause there is some good talent coming up from the minors soon enough that can take your spot. Hall is back tonight and rumour has it Potter may be as well. Hall will help pick up the tempo that has been surely lacking and Corey Potter 'Powerplay', will be a welcome sign and some good puck movement from the backend will be a welcome addition. Not too much can be expected from these two, as they may not be quite as game ready, as they have been off anywhere from 2-3 weeks. 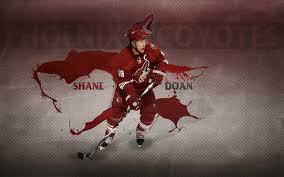 Shane Doan (the above picture) was a draft pick that never became reality for the Edmonton Oilers. Instead they bypassed him to pick up another player that never did pan out (not even worth mentioning the name). Maybe the team would have taken a different direction had he been a Edmonton Oiler, maybe not. Bottom line is, we now have some great top end talent that is bursting at the seams here in Edmonton. Looking forward to tonight's game with anticipation (If only I was able to watch a game without PVR'ing) Anyway, at least recording the game means I can break the game plays down much better. 1. 1st game back and Hall collects a point or more himself tonight. 2. Inspired by the return of Hall and possibly Potter the Oilers are motivated to win this road game. Expect a Oilers win tonight. 3. The Oilers after a aweful PP against Calgary score tonight on the PP once again. 4. Eberle with a goal tonight to light the lamp. 5. RNH gets back on track and comes up with a road point or two. Man, that game against Calgary really was a kick in the backside of us Oiler fans. Hurts the predictions too when your team fires blanks. Here's hoping to a more fired up Oilers team. Just before I go to sleep after an exhausting night shift on a drilling rig, I scan twitter and I find out that Oilers prospect Tyler Bunz has been cut from Team Canada?!? I thought he'd be a lock for sure. I guess I was wrong. It's too bad. I feel Tyler could have been a big part of a gold medal in a city that not only drafted him, buy support him as well. Try not to be too sad Tyler. Your still a good goalie no matter what. Someone fu*ked up with the decision making that's for sure. Remember this... The Nuge never played for Canada and look at him now. I don't get what the big deal is. Why not send Magnus Paajarvi down right now? He's clearly struggling and the Oklahoma City Barons could use a talent like Paajarvi right now. I say send him down now and it will work out best for both parties. MPS needs to find his groove. Oilers 2012 Draft Watch "Griffin Reinhart"
Today we examine the #9 ranked player from REVS 2012 Prospects List . Each player is unique in their own right and full of talent. The ranking does not reflect a mock draft of who a team may actually pick but rather who I would place as the best player available in that spot. This six-foot four, two hundred pound blueliner from the Edmonton Oil Kings has all the tools needed to have a successful pro career. A strong point is his shot, which isn't too surprising given his size. But scouts also tell say his mobility is another strength. Reinhart says he likes to think that he could be the next Shea Weber. A high expectation but even half as good as Shea Weber would be a blessing in disguise for the team who selects him. Sad news for Oilers fans is that Griffin is also a big Vancouver Canucks fan. But since Calgary was Hall's favourite team he can be excused for that, growing up in BC. RNH also was a Canuck fan as well. Griffin is expected to go fairly early in the first round in 2012, and the team that drafts him will certainly be glad to get him. Something limiting Griffin from being ranked higher in draft rankings is that, he’s not great at using his size to play a physical game. It’s not like he avoids all contact but scouts would like to see him be more aggressive to take pucks away from opponents. Griffin’s still a very raw prospect, and he will likely need a few more years of development before he can step into the pro game. Current Colorado Avalanche defenseman Erik Johnson is being used as an example of what not to do with Reinhart, as Johnson was brought into St. Louis too early, and some say that as a result his career has already been ruined. As the Oilers take to the ice at the Saddledome in Calgary tonight, I can not but help remember back to those vicious battles that took place between these two teams in the 80's. As a fan of hockey back then, we never really realized until it was too late, how we should have soaked up that bitter rivalry with every ounce of hockey passion we could muster. 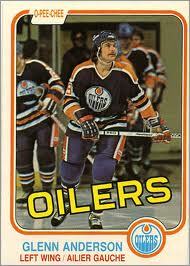 I wonder who today's Glen Anderson is on the Oilers? Is it possible maybe a player like Hartikanen will turn into that player? Nope, not likely he has the scoring touch or the speed. Maybe we will never see a player who closely resembles Glen Anderson. 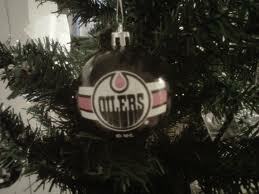 All I do know, is our current team that we call our 'Oilers' is as Bi-Polar as they come. Granted, last night's game was against a struggling club. But the previous few games to that one, were against struggling clubs. Sometimes this team has its 'wheels flying' and is 'hell bent' but other times this team has a 'flat' and their play becomes 'childlike' on the ice. At this moment, the Oilers are trying their best to resemble a playoff competitive team and good on them. 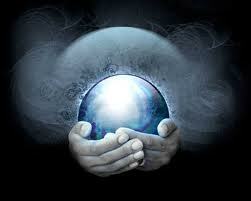 To change the mind of the critics though will require a winning percentage of 60% or better. Their has been some struggles with our defence but in whole, if they are to play a simpler game (like last night) and limit the mistakes, they have a chance each night to win a hockey game. Yes, Teubert last night made a bad line change and was out of position on a couple shifts that almost cost him but at least he is a rookie making mistakes. No raw rookie will come in to a NHL club and be flawless, even the best defencemen will make mistakes. What I do like about Colten, is his rugged play and how he takes his man out of the play. He is strong on the wall and covers his man well. On one shift last night, he must have made 3 big hits then eventually caused the puck to be turned back over to the Oilers, and all because of his strong body work on the boards. Maybe this is not his year were we see Teubert become a full-time NHL player, but we are getting closer, and that means another player of his sort will become expendable next year or the next. Who do you think it could be, who should be looking over his shoulder? Or do you think Teubert is bound to be a 7th defencemen in this organization? Khabby continues to play well and showed some early season form last night. Here is hoping he can keep this up and help this team gain some respectability once again. Dubynk has started to fade some and looked shaky in his last few starts, but confidence is a big factor in success. If it were me (and I am sure many of you are glad it is not me), I would run the goalie rotation based on stellar and hot goaltending. If Khabby has a hot hand, run with him. If Dubynk excels, let him play the next game. There is pros and cons to this, but it does have some merit. time to do battle with the hated Flames of Cowville! 1. Now that we have the Nuge playing more time on the PP and Belanger finding his rightful place off the PP, I see the PP putting up another goal or two tonight. 2. How can I not pick the Oilers to win this game? Exactly, as a Oilers fan, it would be against my better judgement even if I thought Calgary was the better team. Oilers win! 3. Gagner has been flying as of late and while he is, I am still banking on him putting up more points as well. Gagner will collect a point or better on the PP tonight. 4. Belanger has not been his usual high facoff % self as of late. However he has been putting points up. Last nights game he fared ok and against a better FO% team he will be in tough but should still finish 52% or better in the dot tonight. 5. Nuge continues to prove he belongs in the NHL. 30 Games and 33 points or more? Bank on it! Was shocked Teubert was given so many mins in last nights game, but good on Renney who used this opportunity to rest some vets and give ice time to some rookies. What's up with Smyth's lack of scoring prowess? Thought he was a lock every game to score?..lol As a famous actor once said "I'll be back!" Oilers 2012 Draft Watch "Filip Forsberg"
Oilers 2012 Draft Watch "Nick Ebert"